The Filipinas Heritage Library will be hosting the 3rd LibraryLink Conference with the theme “Beyond Librarianship: Information as a Way of Life”. It will be held at the Reading Room of the Filipinas Heritage Library on October 17-19, 2012. 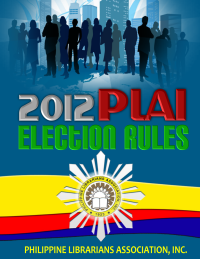 The registration fee is PhP 4,500 inclusive of meals and snacks, certificate, and conference kit. Participants from LibraryLink member institutions or early bird registrants on or before September 1, 2012 can avail of a discounted rate of PhP 4,000. A non-refundable deposit of P1,500 is required. Should you have questions, please feel free to call us at 892-1801 locals 15 and 30 or email liblink@filipinaslibrary.org.ph.